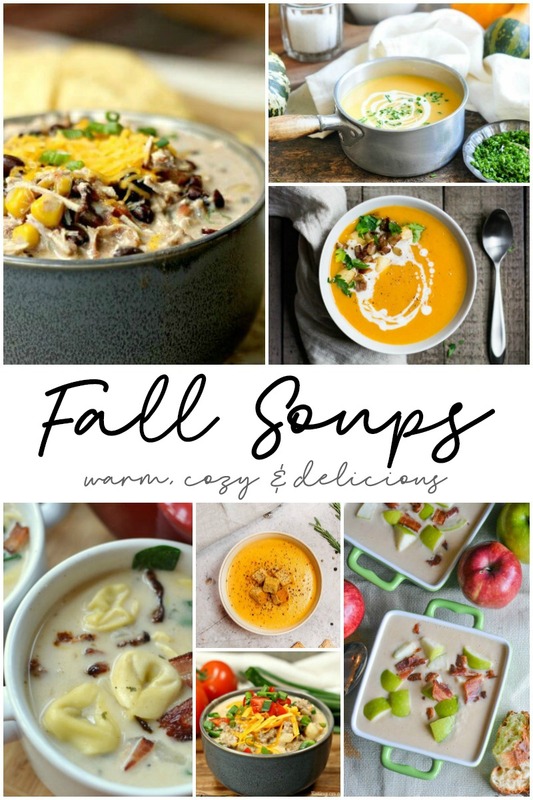 Get Warm & Cozy with these Delicious Fall Soups! Get warm & cozy with these 20 delicious fall soups to enjoy on a chilly day! These recipes include traditional soups to the super creative! There’s something for ever soup lover! The days are officially shorter and the weather is just going to keep getting colder. It’s the perfect time of year to celebrate soup season! Who doesn’t love to warm up with a big bowl of soup on a chilly day? There’s really nothing better than a hearty, homemade soup. My husband isn’t much of a soup eater, but I love cooking up large batches, portioning them out, and keeping them in the freezer. That way, I can have soup for lunch whenever I want! Most of my favorite soups are loaded with veggies. I used to hate chunky soups, but soups – like this Tuscan Meatball and Bean Soup – have quickly become a favorite of mine! Warm up this fall with these 20 cozy and delicious soup recipes! There’s a different soup for everyone! Maybe even my husband! What’s your favorite kind of soup to enjoy on a chilly, fall day? There’s nothing more comforting than a bowl of chicken soup! 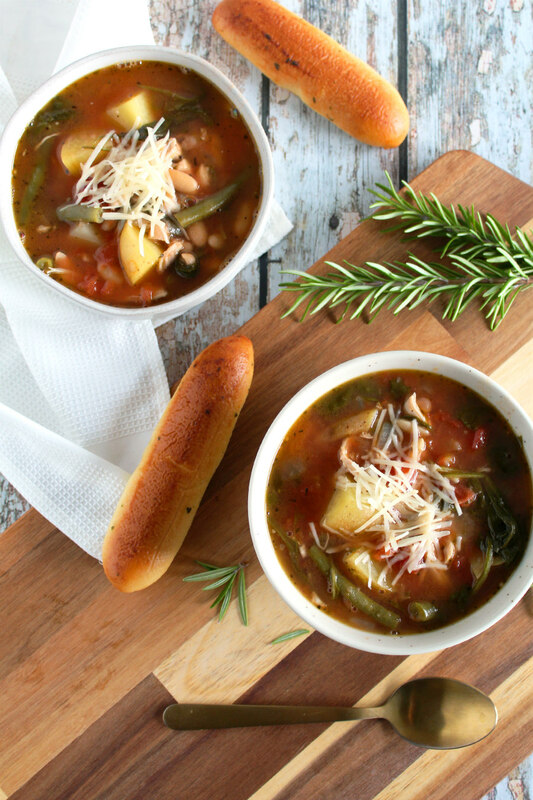 This Slow Cooker Italian Chicken Soup is full of hearty vegetables and Italian flavor! 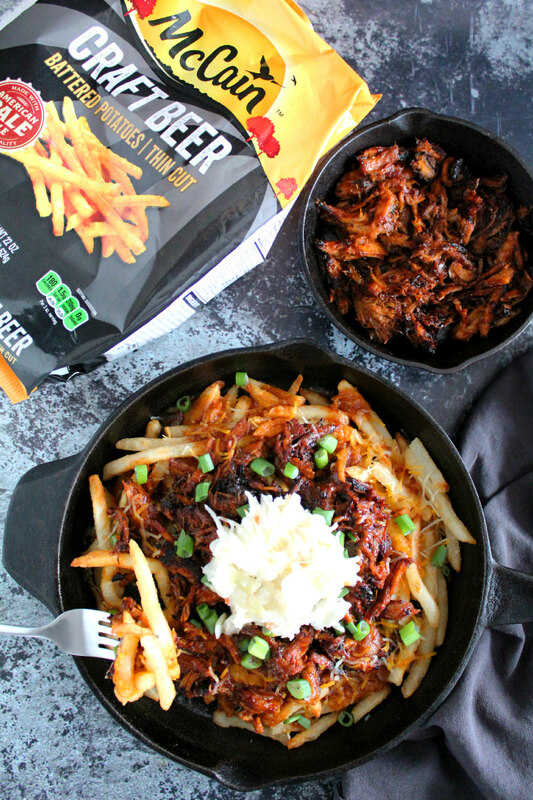 It’s slow-cooked all day so you can grab a bowl and warm up on a chilly night! Ah, soup season! There’s nothing like sitting down to a warm bowl of comforting soup. And there’s nothing more comforting than a bowl of chicken soup! Except, of course, maybe this chicken soup! I’m giving traditional chicken soup an Italian style twist with this Slow Cooker Italian Chicken Soup recipe! This soup recipe was initially just a way to clean out some veggies in our fridge. These days, it’s one of my favorite soups to make in the slow cooker! It starts with a tomato base made with diced tomatoes and chicken broth. Chicken thighs are browned and thrown into the slow cooker along with onions, garlic, green beans, baby spinach, and potatoes. Throw in some Italian herbs and seasonings and, badda-bing-badda-boom, you’ve got yourself one tasty chicken soup! 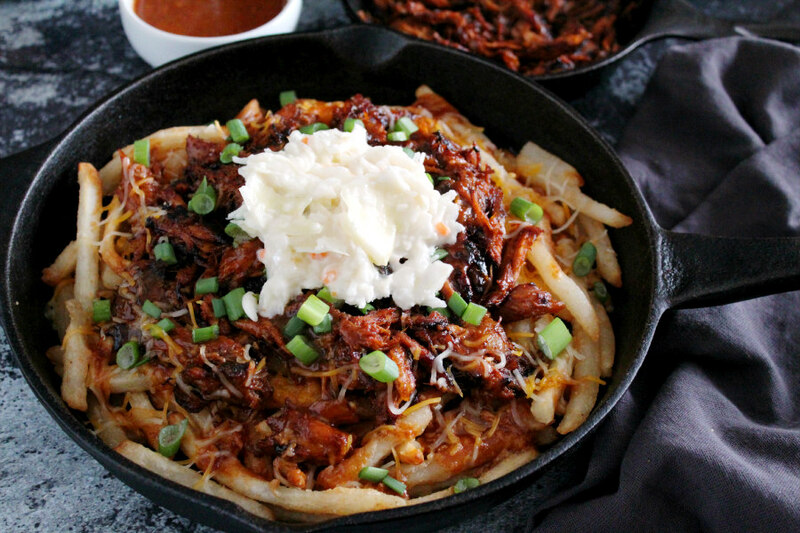 Head to SoFabFood.com today for the recipe! It makes a really big batch, so it’s a good freezer soup! Or a good soup to share with family, like I did! This post has been sponsored by Social Native and Crock-Pot. This post may contain affiliate links. 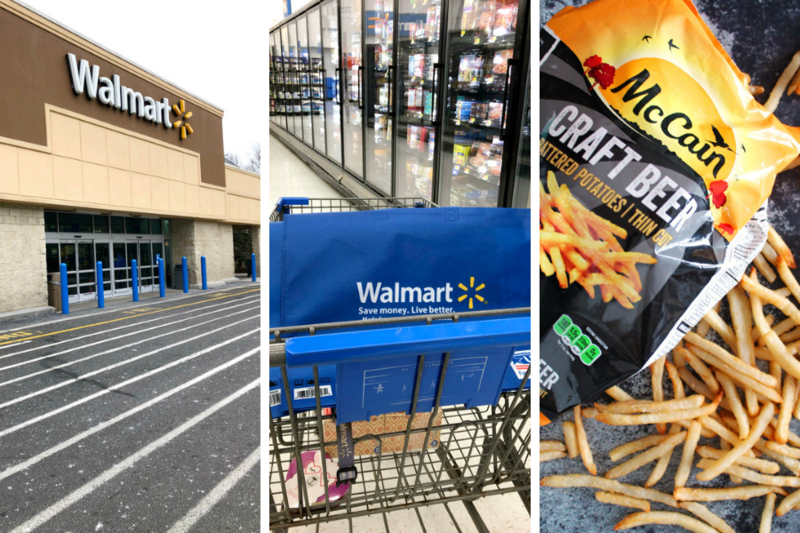 Making a purchase through one of these links helps support this blog. 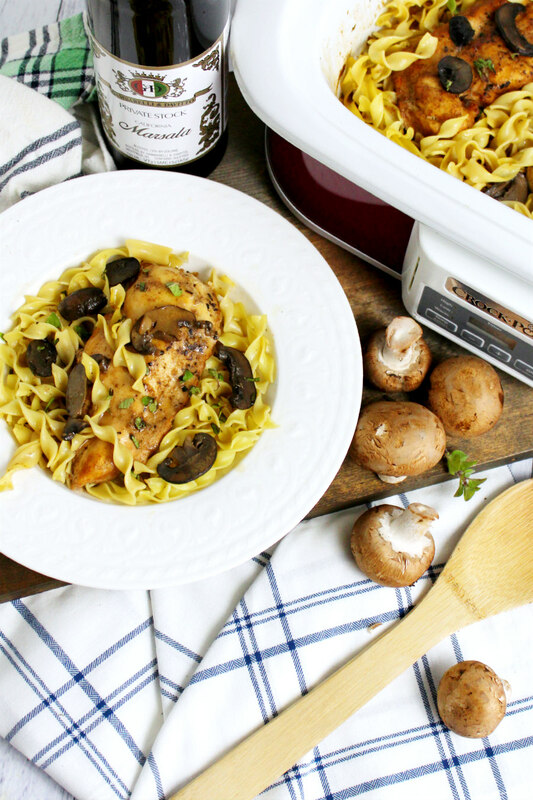 This Slow Cooker Chicken Marsala Casserole is a lighter take on a classic Italian dish. 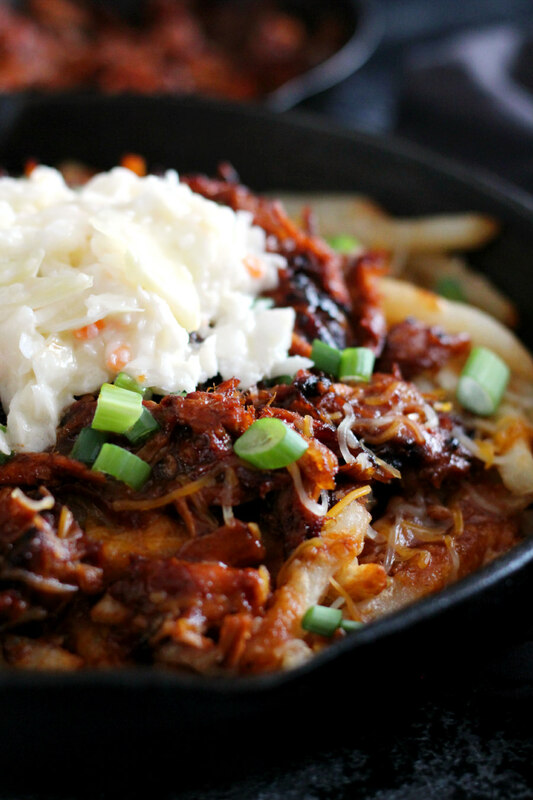 It’s easy to make in your Crock-Pot and perfect for warming you up on chilly nights! As soon as I feel that familiar chill in the air, I know that it’s time to get those Crock-Pot recipes ready! I tend to use my Crock-Pot year ’round, but I recently received the Casserole Crock Slow Cooker and it’s changing the way I slow cook! I started thinking about casseroles. 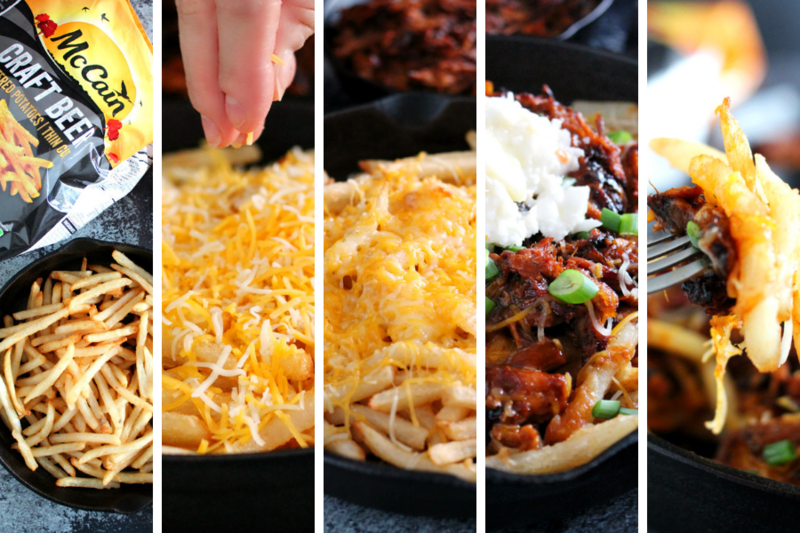 All kinds of delicious casseroles! 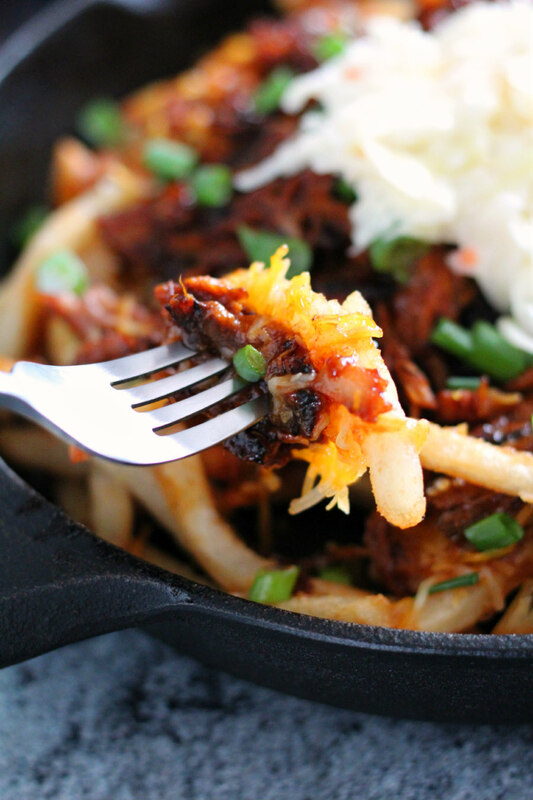 But is there anything better than sitting down to a hearty noodle casserole after a cold day? There’s just something so comforting about a warm, flavorful noodle dish. So I wanted to turn one of my favorite Italian dishes into a noodle casserole. The nights have been chilly and our weekly menu has been adapted to dishes that are warm and satisfying. 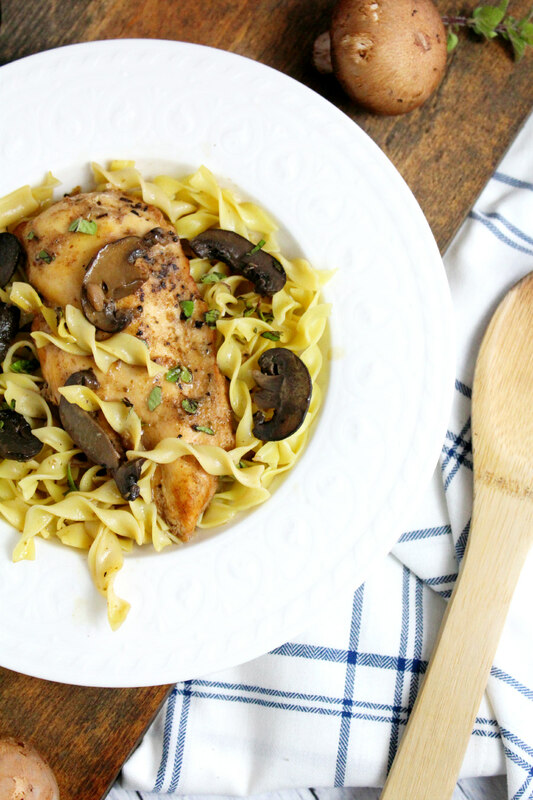 Just like our menu, I wanted to adapt a classic Chicken Marsala recipe into a casserole that’s like a hug to your stomach. Instead of a heavy coating of flour, the chicken is dredged in a light coating of whole wheat flour. Instead of adding cream to the Marsala sauce, it’s a simple yet flavorful sauce of just wine, broth, and seasonings. Classic Italian flavor without the fuss! The only thing that’s “heavy” in this dish is the egg noodles. However, egg noodles do contain a higher amount of protein than regular pasta. Egg noodles also have that something comforting about them. They remind me of home cooking and mom’s recipes. The noodles do soak up a lot of the sauce once they’re added to this dish, but they hold most of the flavor. 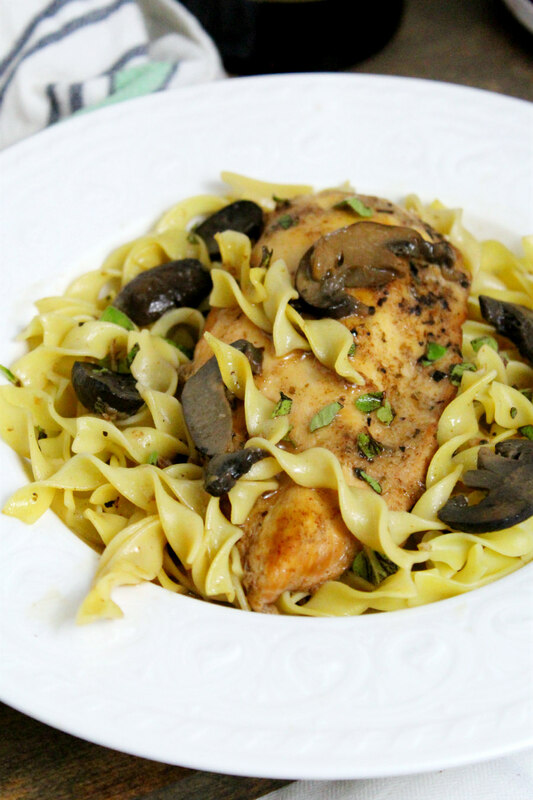 This Lighter Slow Cooker Chicken Marsala Casserole was so easy to make in my Casserole Crock Slow Cooker! The prep involved is easy and worth the small amount of extra work for classic Italian flavor. The slow cooked chicken is fork tender and the mushrooms give the dish an earthy element. However, it’s the Marsala that’s the star of this dish with a slight sweetness that just works so well. Heat about a tablespoon or two of olive oil in a skillet. While the oil is heating, coat the chicken, on both sides, in flour. Add the chicken to the skillet and cook until the chicken is golden brown on each side, about 4 minutes. Add the chicken to the Crock-Pot. In a medium bowl, whisk the Marsala wine, broth, corn starch, garlic powder, and Italian seasoning together. Pour over the chicken. Add the sliced mushrooms around the chicken, cover the Crock-Pot, and heat on low for 8 hours. About a half hour before serving, prepare the egg noodles by boiling just until al dente. Add the noodles to the crockpot and stir. Season with salt and pepper and serve with grated Parmesan cheese and chopped fresh oregano, if desired. Tip: The pasta will soak up a lot of the Marsala sauce. Double the sauce recipe if you want extra sauce, or prepare extra sauce on the side in a saucepan (bring it to a boil, lower heat, and allow sauce to reduce a little) to spoon over this dish. 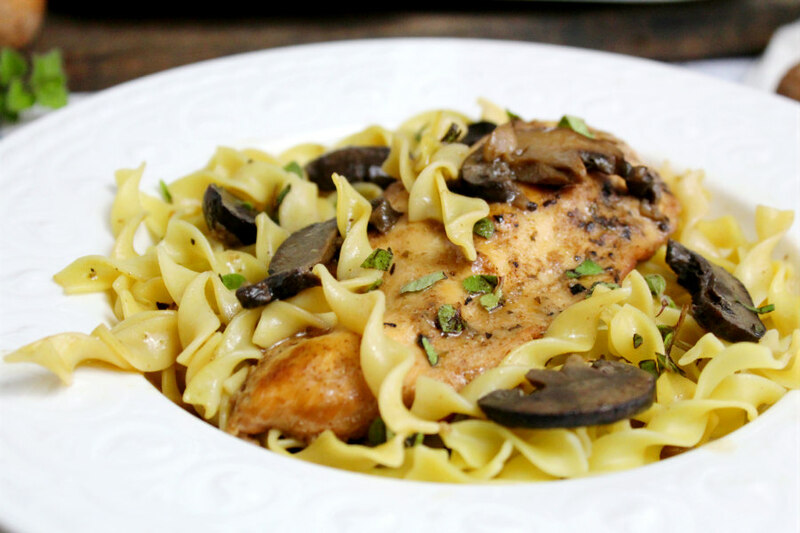 This take on Chicken Marsala may be lighter and easier, but it’s just as flavorful as the real deal. Because the noodles soaked up so much of the sauce, next time I’ll make extra. This dish is still full of that classic Marsala flavor in a fall-worthy noodle casserole!